Being a victim of over-packing while travelling is quite normal especially in winters when you are tempted to pack almost everything to save yourself from the nasty weather. Never again! We did the math, considered all of the important options, and found that all you really need for a stylish cold weather weekend away are these 8 essentials. 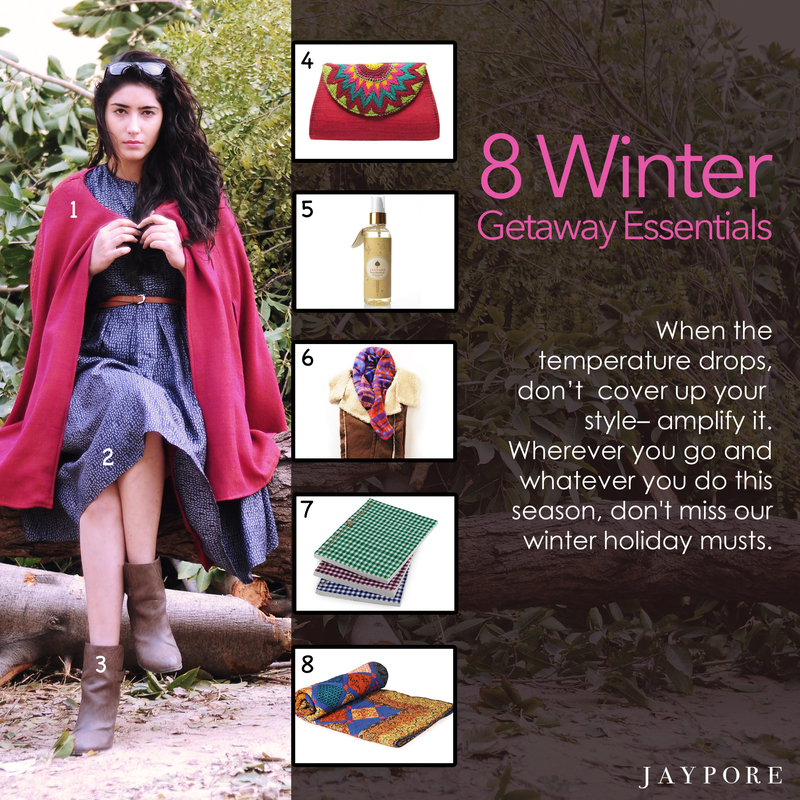 Posted in Sartorially Set and tagged bath oil, boots, cape, clutch, Dress, fall fashion, journal, quilt, stole, style guide, Travel, travel essentials, what to pack, winter getaway. Bookmark the permalink.